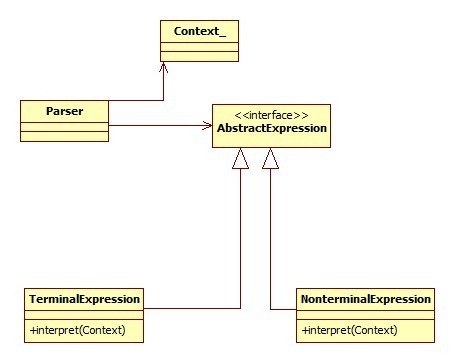 Interpreter design pattern gives the ability to define a language’s grammar with an interpreter, where in that interpreter uses that definition to interpret sentences of that language. I tried to rephrase and present it simpler in a line, what GoF has given for interpreter design pattern. I know the definition is kind of confusing. Let us decrypt it and understand the interpreter pattern in this tutorial. Represent the grammar of a language. Use that definition in an interpreter to interpret a sentence. This interpreter design pattern does not give solution for building a whole large interpreter for a language. It can be applicable for smaller chunks where grammar and interpretation is applicable. We can consider scenarios like regular expressions and interpreting mathematical expression. each notation should be capable of interpreting itself. 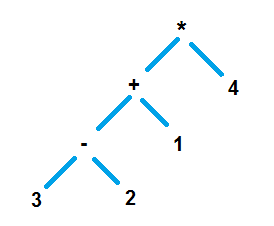 Let us construct an abstract tree for the expression (sentence) to be interpreted. TermialExpression – this will not contain other expression, the leaf node in a tree. Number in the following example. NonterminalExpression – this will contain other expression, non-leaf node in a tree. Operator in the following example. Mathematics is the most loved among all the sciences. Oops, who is that throwing stone at me? I felt that RPN is the simplest choice to explain this design pattern better and so chose it, so don’t curse me. Infix notation where the operator comes in between the operands. Example 1 + 2. Let us consider a RPN and use interpreter design pattern to implement a solution to evaluate it. There are already sooper-dooper algorithms available to covert postfix to infix and vice versa, so you can refer it straightly. Let us define an interface contract which will have a method interpret(), so that we can enforce it on all the tokens. We should define classes for all these four tokens and these classes should implement the common interface. By implement it, all the four tokens themselves will know how to interpret. Algorithm for postfix expression parser implementation is simpler than for infix. Comments on "Interpreter Design Pattern"
Nice article. A minor thing though: you missed out the class definition for NumberExpression. Intentional? No it was not intentional, I missed it. Thanks, I have added it now. Thanks for this clear explanation. We read about infix, postfix and prefix in Data Structure but never thought like that as you explained. why call interpret every time you get an operator? Why not just push the operator to the stack, and call interpret() once only in the end? Very crisp explanation and illustration. Thank you. Nice example. But I wonder where is the context in the given example? Comments are closed for "Interpreter Design Pattern".